The Alfa Romeo 4C is hand built at the Maserati factory in Modena by expert technicians who have undergone 500 hours of special training. Assembly technicians follow every phase of the process personally and, at the end of the line, perform rigorous quality control tests to ensure that all components function perfectly. The finished car is then handed over to expert test drivers for dynamic performance testing under a wide range of conditions. Only then is a new Alfa Romeo 4C declared ready to take to the road. Carbon fibre was chosen to create the central passenger cell and aluminium was used to make the engine and the front and rear sub-frames. Behind the occupants, a high strength steel roll-bar prevents deformation in the event of roll-over. Advanced composite materials, previously thought too difficult to apply to production models, complete the car's innovative structure. 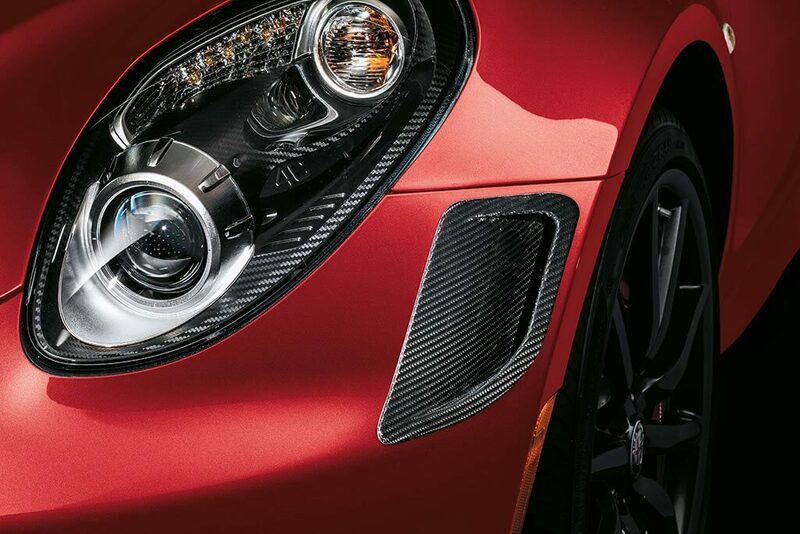 On the Alfa Romeo 4C, low density composites are used for the outer body as they guarantee better stability than aluminium and 20% less weight than sheet steel. 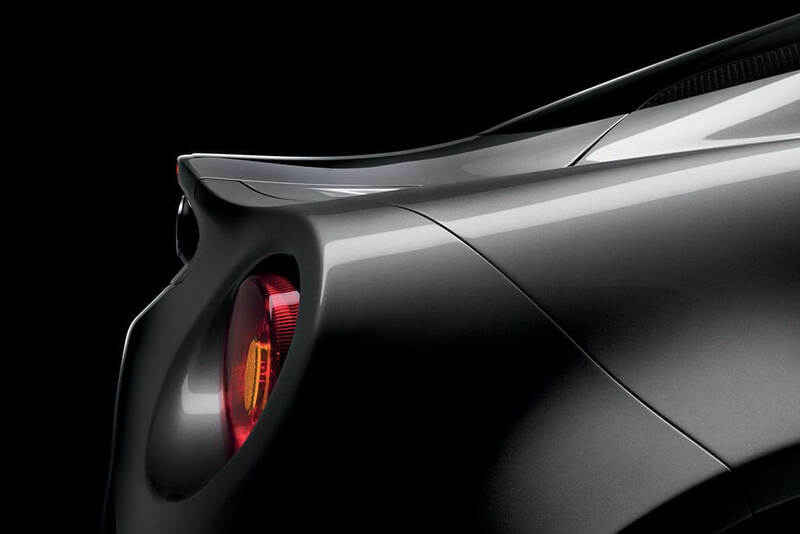 At the front, the Alfa Romeo 4C features a double wishbone configuration and at the rear, an advanced MacPherson suspension. This ensures superb road holding and driving fun, even in the most extreme maneuvers. The braking system is designed for high performance race track use. The perforated, self-ventilated front discs and Brembo calipers stop the car from 100 to 0 km/h in only 36 metres. And to ensure maximum grip and prevent skidding under all conditions, the 4C is fitted with different diameter tyres with the larger size on the rear for the best possible handling. 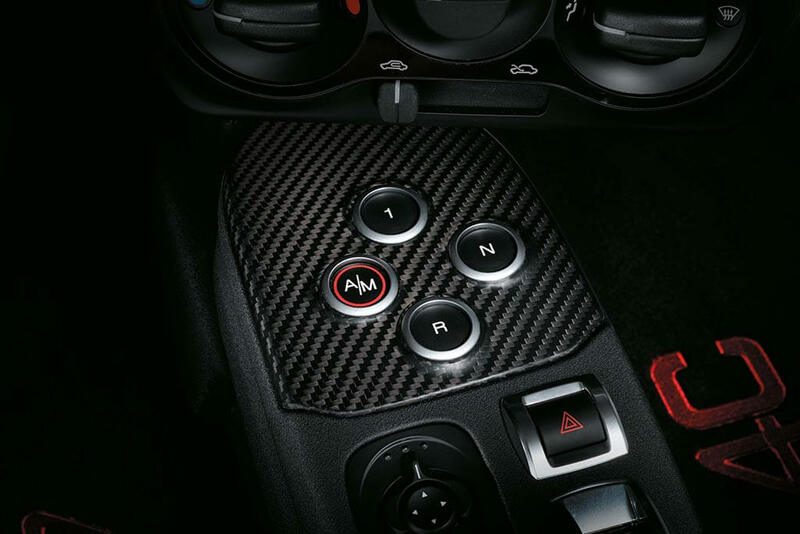 On the Alfa Romeo 4C, the system has been thoroughly revised to respond to the needs of a high performance supercar and features a fourth mode: Alfa Race. This is the most extreme performance mode, and is engaged by moving the mode selector to Dynamic position and holding it there for a few seconds. 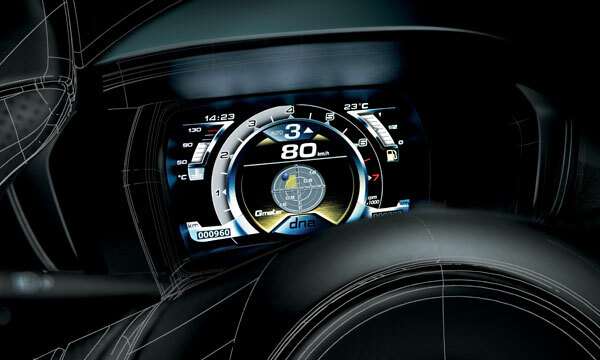 Alfa Race mode puts you in total control of your car under race conditions. By minimizing the interventions of electronic systems, it leaves you, the driver, in complete command by deactivating ESC stability control and ASR. 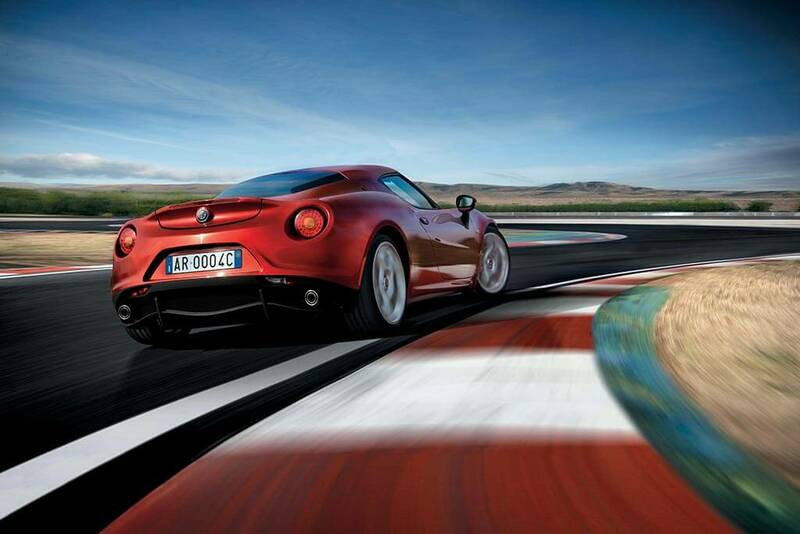 The Alfa TCT clutch has been specially modified for use on the Alfa Romeo 4C. The 4C's special clutch features all-new control software that ensures the fastest possible gear shifts under all conditions. Gear shifts are more aggressive in the sporting performance modes, and drivers can clearly feel the new gear engaging, as on a racing car. 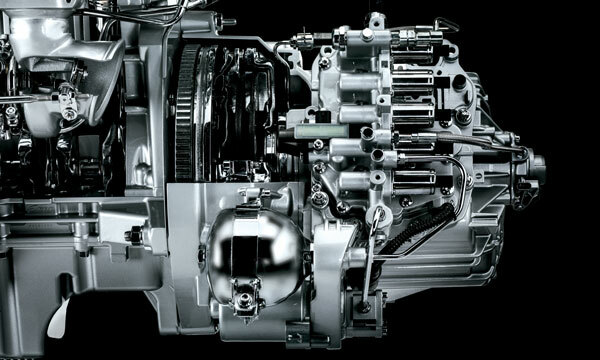 On bends, gearshifts are completed in the smoothest way possible to avoid reducing stability. The 4C is also fitted with Launch Control which is activated by pressing the brake pedal while pushing the accelerator pedal all the way down and squeezing the paddle on the left of the steering wheel. As soon as you release the brake, the system automatically controls the gearbox, traction and power to maximize acceleration. 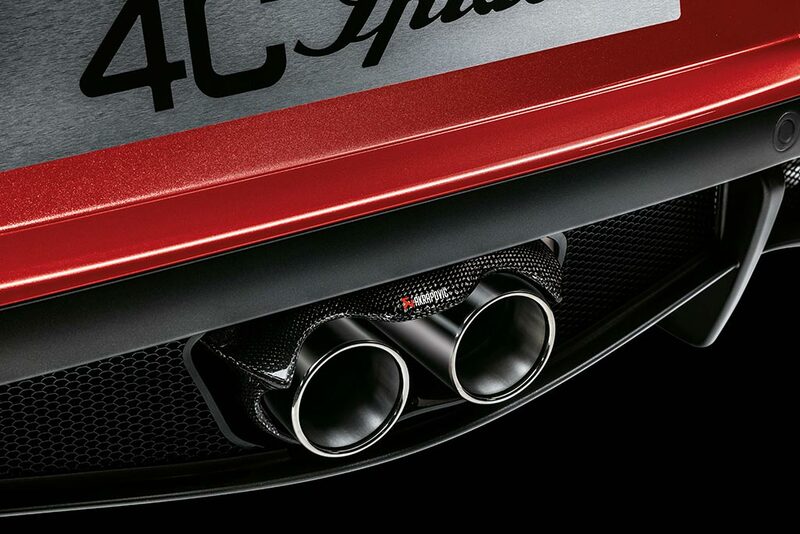 The 4C introduces an after-run pump, an automatic cool-down system put in place to protect the turbocharger. 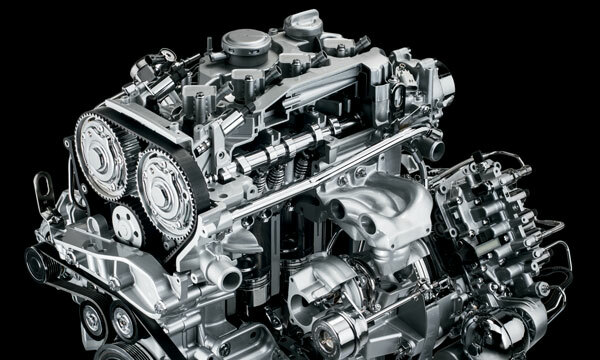 In many other vehicles, oil circulation stops the moment the engine is switched off. This leaves stagnant and heated oil in the turbocharger, which over time triggers a loss of lubricating capacity and leads to a formation of residue that can damage the engine. The 4C’s electric after-run pump is automatically controlled by the ECU and keeps oil circulating through the turbocharger until it has cooled sufficiently. Alfa Romeo offers a three-year/150,000km warranty as standard. Roadside Assistance is also provided 24/7 for 3 years. In the event that your vehicle is immobilised, Alfa Romeo Roadside Assistance will help you to continue your journey with the minimum of inconvenience to you and your passengers. The programme provides support for you and your Alfa Romeo for 3 years from the date of first registration, 24 hours a day, 7 days a week. © FCA Australia Pty. Ltd. All Rights Reserved. Fiat, Alfa Romeo, Fiat Professional are registered trademarks of FCA Group Marketing S.P.A.